Hike out to your favorite swimming hole, or spend an epic day swimming off the coastline, in The North Face's Class V Cargo Water Trunks. The QuickDry treatment on these lightweight polyester shorts discourages water absorption, enabling you to roam from the river to the trail with ease. The elastic waistband is designed with a built-in belt for a secure fit that won't ride down. These 10 in. Hike out to your favorite swimming hole, or spend an epic day swimming off the coastline, in The North Face&apos;s Class V Cargo Water Trunks. 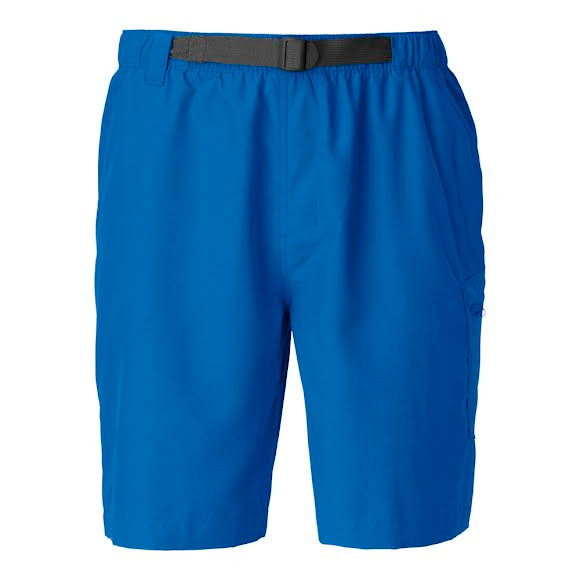 The QuickDry treatment on these lightweight polyester shorts discourages water absorption, enabling you to roam from the river to the trail with ease. The elastic waistband is designed with a built-in belt for a secure fit that won&apos;t ride down. These 10 in. inseam trunks are constructed with a crotch gusset and relaxed fit that&apos;s cut wider in the thigh for improved freedom of movement. Cargo pocket securely fastens with a zip closure with a key loop. Finished with a water-friendly mesh liner for next-to-skin comfort.